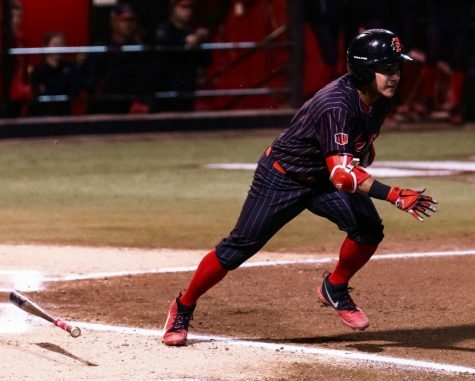 Sophomore shortstop Shelby Thompson runs towards her teammates at home plate after hitting a walk-off home run during the Aztecs 3-2 victory over Colorado State on April 29 at SDSU Softball Stadium. 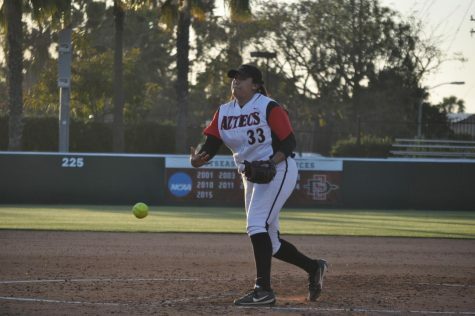 San Diego State softball battled its way to a 3-2 victory in a 10-inning game over Colorado State University on April 29 at SDSU Softball Stadium. 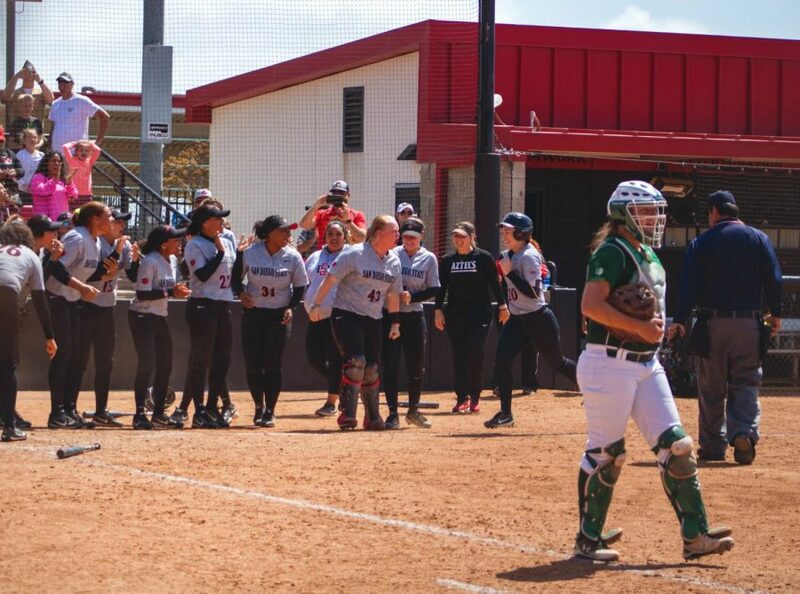 After three scoreless extra innings, sophomore shortstop Shelby Thompson hit a walk off home run to end the game. 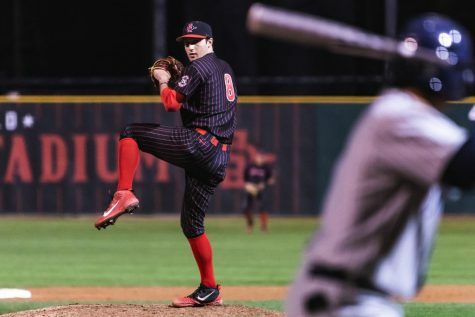 Senior pitcher Alex Formby also had much to do with the team’s overall victory, and she came up clutch in the most intense, crucial moments of the game. With runners in scoring position and several full counts, Formby found ways to survive the innings. Formby said it feels to good to walk into the dugout after getting through an intense inning. Senior first baseman Taylor Stewart was also a huge asset to the team’s victory. With a runner on third, Stewart hit a single RBI to tie the game up 2-2 in the bottom of the sixth. 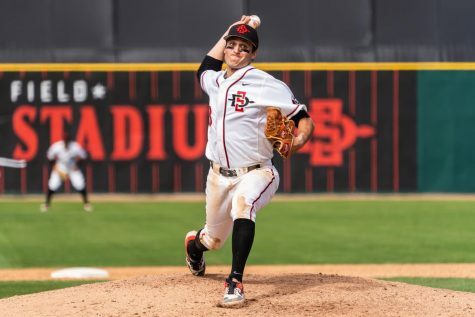 The win led to the Aztecs first home series win of the season. 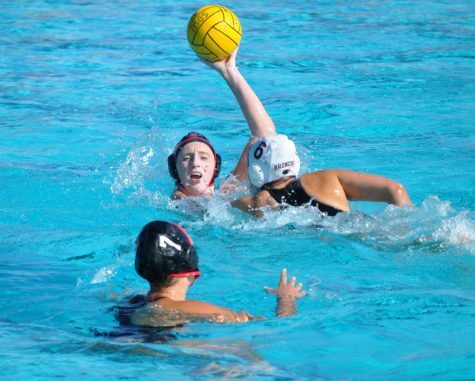 Head coach Kathy Van Wyk said all games are important, but it is nice to finally win at home. 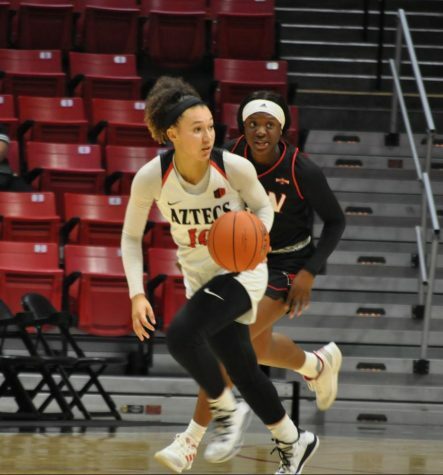 Despite a rocky season which has led to a overall record of 16-29, the Aztecs have managed to keep their heads up and continue to fight. 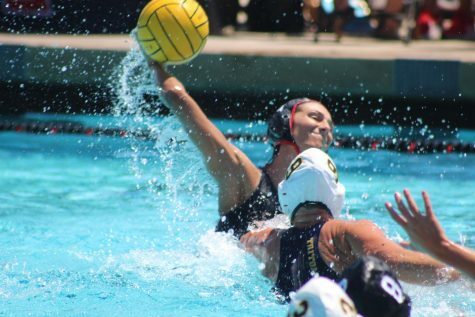 Only two series remain in the season, and Formby said she wants to give it her all for what is left. Formby said the entire team will continue to battle for what is left of the season. 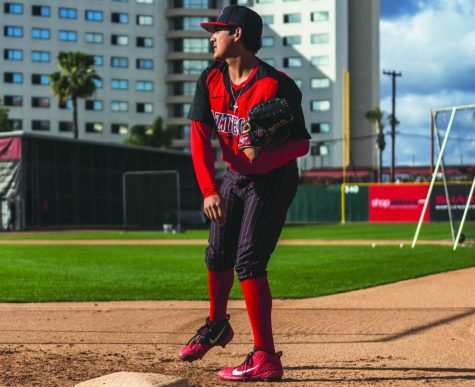 SDSU travels to New Mexico May 4-6 to go head to head with the Lobos, and will play their final series at home May 10-12 against Utah State University.